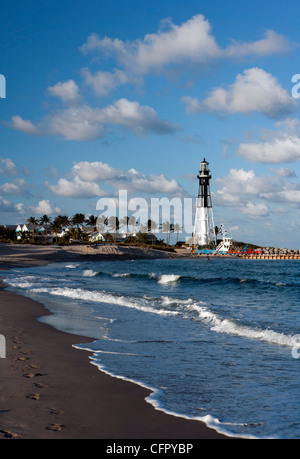 Completed in 1907, the historic 167 foot tall Hillsboro Inlet Lighthouse sits on the point of land on the northeast shore. 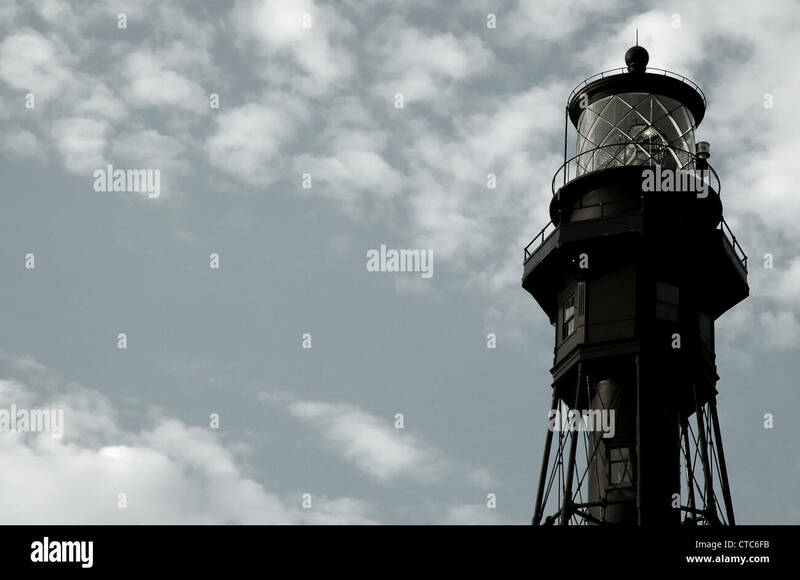 In this black and white image of the Hillsboro Lighthouse early morning sun from the east casts long shadows of light and gull. 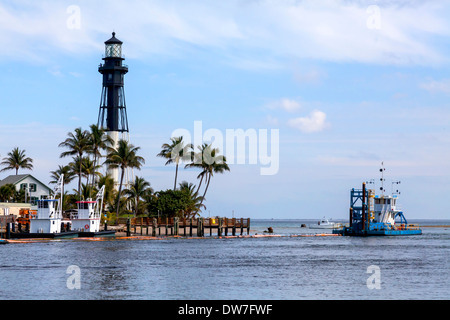 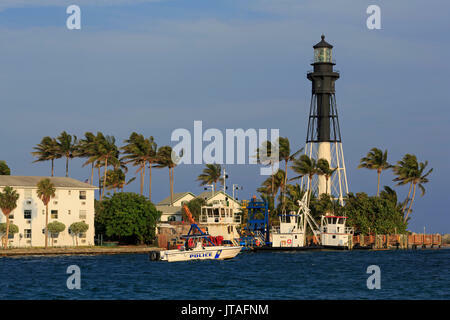 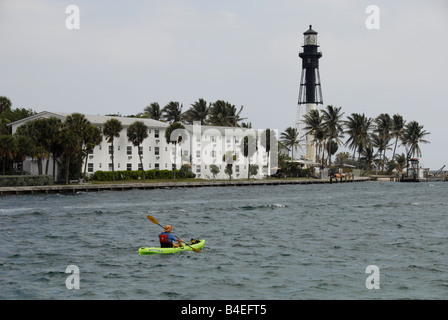 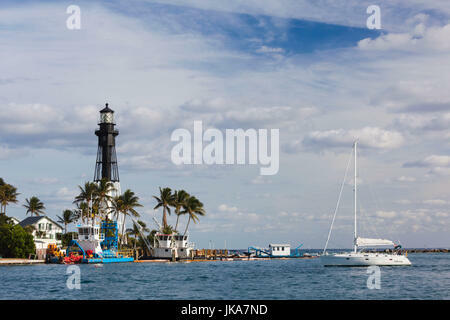 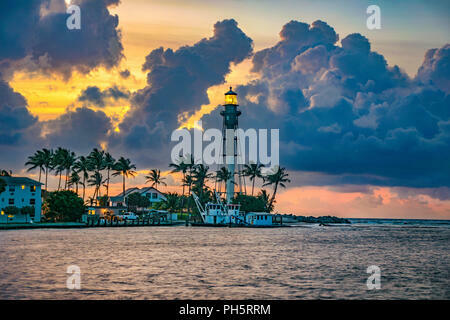 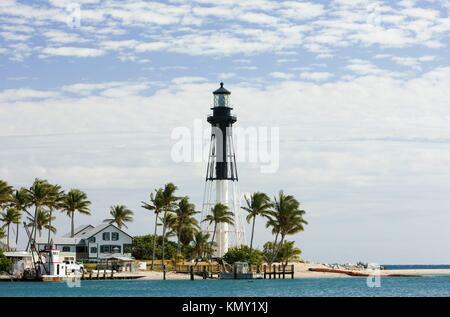 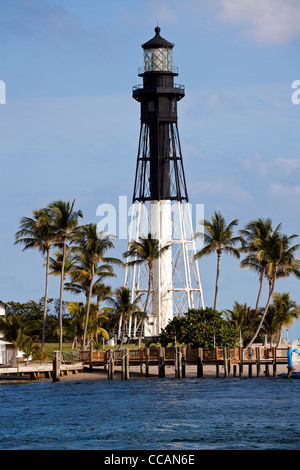 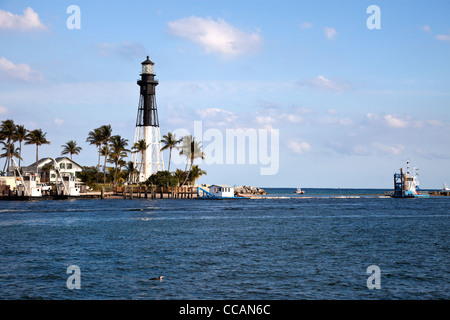 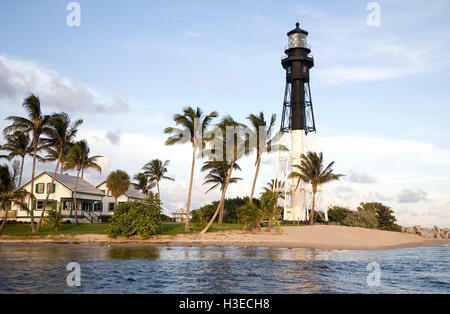 The Hillsboro Lighthouse viewed from across the inlet, Pompano Beach Florida, USA. 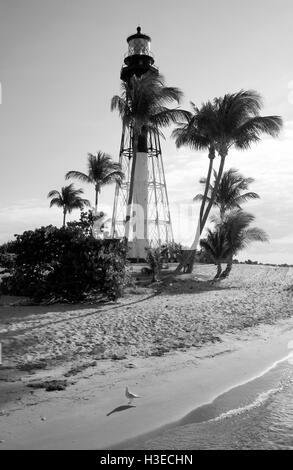 The skeletal tower of Hillsboro Light sits on the north side of the inlet & displays its post Wilma repaired Keeper's cottages. 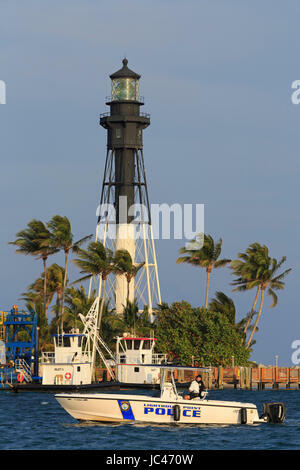 Hillsboro Lighthouse in Hillsboro Beach, Florida, USA near Fort Lauderdale and Miami.